Today we’re talkin’ curry. What even is curry? Let’s have a chat. No, NBA fans, I’m not talking Steph Curry of the Golden State Warriors (go Cavs, though!). I’m not talking specifically about that yummy traditional Indian delicacy either. Today, we’re focusing on the game changing blend of spices that create that unique, power-packed flavor. Adding curry spices to any dish can take the boring to exciting, the bland to tasty, and the ordinary to extraordinary. Confession #1: If I could curry my life, I would. Confession #2: One time at the Whole Foods’ hot bar they had curry roasted pumpkin with spiced raisins; but alas they refused to give me the recipe. If you need any more convincing, lemme tell you about a few of the healthy benefits that come form eating this super-powered blend Turmeric, one of the main components of curry spice, has been shown time and time again to improve insulin stabilization and prevent sharp blood spikes, thus lowering the risk of developing diabetes! But what makes turmeric so rad is its ability to offer an anticancer effect thanks to curcumin, the bioactive compound of turmeric. Enjoy turmeric with black pepper (ahem, this Blueberry Detox Smoothie) to enhance those benefits. On a less serious note, curry spices also help keep cholesterol in check and detoxify our digestive systems. Convinced? Hope so. 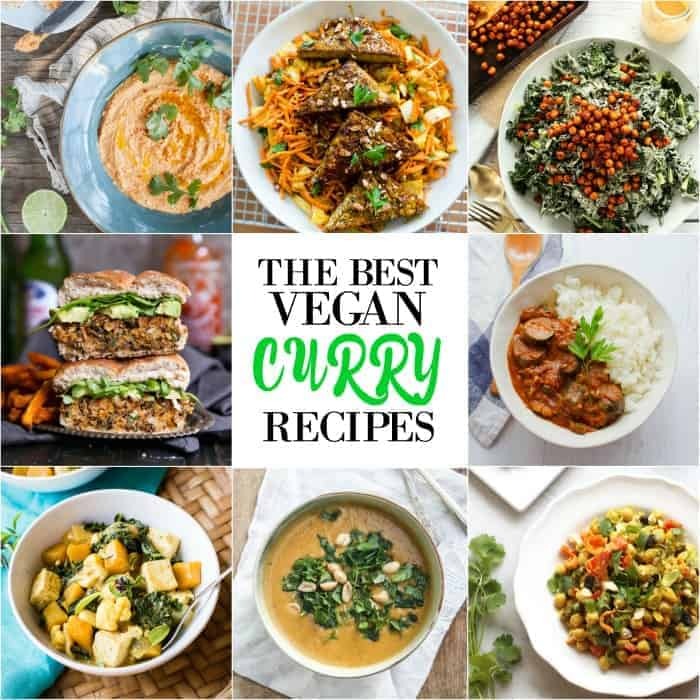 Now go spice up your dinner/lunch/brunch/appetizer/dinner party/life with these 21 yumtastic vegan curry recipes ASAP! 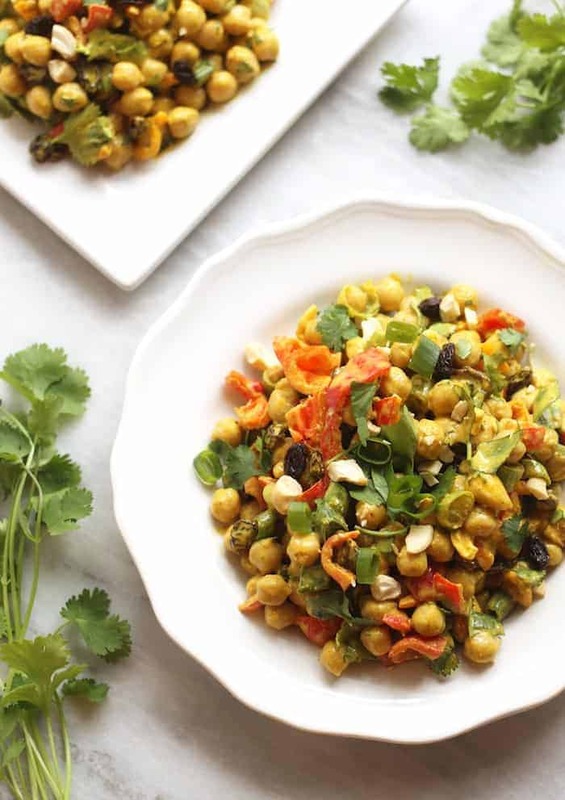 I made your chickpea curry last week and my husband and I both loved it- the sauce was perfect :) Can’t wait to check out some other recipes! So, I just bought a can of coconut milk for vegan curry purposes! This roundup is great, and I’m definitely pinning all of them for inspiration! what a lovely roundup! pinning it. thank you for including my tofu tikka masala.